One of the most popular routes in Roscommon, The Miners Way, is a unique heritage trail following many of the paths used by miners going to work in the Arigna Mines, where mining was carried out for over 400 years. Perfect for a weekend of walking, the way-marked route is well designed and signposted and includes Sliabh an Iarainn Way, the Leitrim Way, Glenfarne and Lurganboy. Developed to preserve the heritage of Arigna Valley, the visitor centre links past, present and future. This Energy Centre provides visitors with a fascinating insight into what coal mining life was like in the Arigna Valley, since its beginning in the 1700’s until closure in 1990. An 800 hectare park originally founded in the 19th century on the southern shore of Lough Key, today the Forest Park is home to numerous adventure offerings, tranquil walking trails and historical and archaeological points of interest. Zipit swung into action at Lough Key Forest Park in 2011. With over 1.5km of activities, including 900m of ziplines, Zipit Lough Key provides an exhilarating and challenging outdoor activity. Hire a bike for a fun, traffic free cycle through the Forest Park 7-8 km, or head for the hills on an electric bike and explore the high-ways and by-ways of the beautiful countryside. 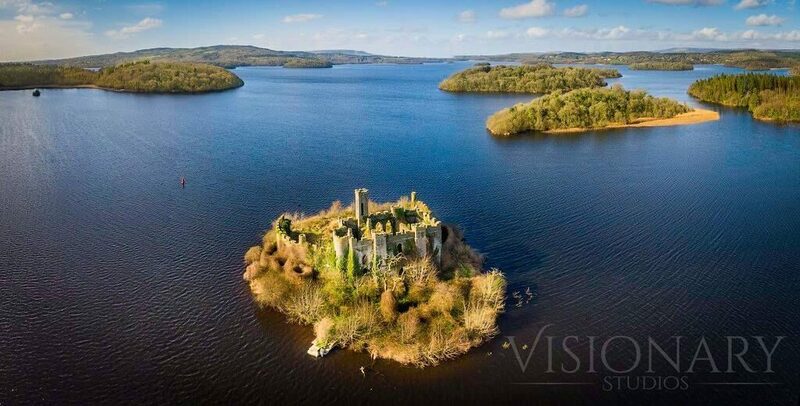 Discover the lakelands of Roscommon on a boat trip on Lough Key. A tranquil trip featuring historical spots and on board entertainment. A Swedish concept unique to Ireland, Boda Borg is the perfect team building exercise where guests are transported into a real-world gaming environment. King House is a magnificently restored Georgian mansion located in Boyle, Co. Roscommon. Built in 1730 as the seat of the King family, a powerful landowning dynasty, the house later became a military barracks and recruiting depot for the famous Irish regiment of the British army, the Connaught Rangers. The house is now open to the public as a museum bringing its history to life. Home to the Connaught Rangers museum as well as the Boyle Civic Art Collection, the house also plays host to musical, dramatic and cultural events and is a central locale for the ever-popular Boyle Arts Festival. Set in the charming grounds of King House, Boyle provides the finest array of Artisan Food, Craft and Organic Produce. An impressive and well preserved Cistercian Monastery which was founded in the 12th century under the patronage of the local ruling family, the MacDermotts. Though mutilated during the 17th and 18th centuries when it was used to accommodate a military garrison, Boyle Abbey nevertheless retains its ability to impress the visitor as one of the most formidable of the early Cistercian foundations in Ireland. A restored gatehouse of 16th/17th century houses an exhibition. Restricted access for people with disabilities. Carrowkeel is a beautifully situated neolithic hilltop passage tomb complex consisting of 14 passage cairns identified with letters. The passage cairns are spread across a number of hills that form part of the Bricklieve Mountain range (the Irish name Breac sliabh means speckled mountain). Carrowkeel is one of a series of limestone plateaus aligned towards Knocknarea. The plateau to the east is Doonaveeragh and to the west there are the Carn Mor and Treanscrabbagh plateaus. There is a small car park between the two hills in the top image.